There’s a conventional wisdom about public schools: Graduates don’t have the skills needed for a technologically advanced economy. We’ve doubled funds for public education since the mid-1960s, but more money hasn’t improved schools. Academic achievement is stagnant or declining. Public schools can’t improve because teachers are smothered by bureaucracy. To address this system failure, structural reforms such as school-based decision making or parental choice of schools are imperative. Liberals and conservatives share much of this view, parting only when the left proposes radical decentralization of public schools while the right calls for privatization with vouchers. Yet despite the broad consensus, each assertion in the conventional story is incorrect or misguided. Public schools now produce most academic skills currently demanded by employers and, most likely, even the skills needed if industry adopted more flexible production methods. While public education funding has more than doubled since 1965, little new money has gone to improve academic outcomes; instead, the funds have mostly pursued social goals like education of the handicapped, nutrition programs, and busing for integration. Teacher salary increases and class-size reductions have been insufficient to produce educational effects. Despite relatively modest increases in regular education funding, real progress is reflected in reduced dropout rates, higher test scores for white and especially minority students, improved minority college attendance, and more students going into science and engineering. Bureaucracy does stifle creativity, but school administration consumes few dollars, mostly to prevent discrimination, favoritism, or fraud, or to maintain minimum academic standards. Consequently, systemic reforms like decentralization and school choice mostly address the wrong problems. choice programs will increase race and class segregation and depress academic achievement for disadvantaged students. Radical decentralization could waste teacher time with routine administrative tasks. Schools need incremental reforms like improved evaluation and training of teachers and principals and more curricular emphasis on conceptual and verbal skills. But the most important reform remains more money. Results are most likely from education of preschoolers, drastic class-size reductions for disadvantaged students, investments in health care for pregnant mothers, improved teacher pay, and workplace training for the non-college bound. Public education advocates miscalculate when they attempt to mobilize support by attacking school outcomes. the strategy likely to enhance support for public schools is to highlight schools’ accomplishments, suggesting that even greater gains are likely with additional resources. Blinder evaded Clinton’s probe, claiming there is no skills shortage only because of the recession–when hiring picks up, “Skills are going to be in short supply.” But Blinder was mistaken. The employer-survey to which Clinton alluded was conducted by “The Commission on the Skills of the American Workforce” in pre-recession 1989. It found that over 80 percent of American employers were satisfied with new hires’ education. Only 5 percent expected future increases in skill requirements. Nonetheless, illustrating the power of ideology over experience, employers who find little fault with their own workers’ preparation frequently complain that the schools are failing, just as the public consistently tells pollsters that schools fail while the schools that their own children attend are doing just fine. Academics, politicians, journalists, and business leaders seem to agree that schools’ failure is confirmed by growing “returns to education”–each additional year of school boosts an individual’s earnings by about 6 percent. In 1979, college graduates earned 38 percent more than high school grads. Today it’s 57 percent more. If employers pay more for college degrees, it seems reasonable to conclude that degrees are in short supply and to demand an increase in the number of graduates, focusing on shortcomings of public schools that produce too few students qualified for college. But while college grads do earn increasingly more than high school grads, many college graduates take jobs that don’t require degrees. In 1990, 20 percent of college graduates had jobs that don’t require higher education, or they couldn’t find work at all, up from 18 percent in 1979 and 11 percent in 1968. There are now 644,000 college grads working as retail salespersons, 83,000 who are maids or janitors, and 166,000 driving trucks or buses. Blue-collar workers include 1.3 million college grads, twice as many as 15 years ago. Even before the current recession, 400,000 grads were unemployed–despite their credentials. Not all graduates, of course, want professional or technical careers, but it’s unlikely that voluntary blue-collar work explains much of this data, because technologically sophisticated occupations are not increasing rapidly. The oft-cited conclusion of the Department of Labor’s Workforce 2000 report that future jobs will require more education failed to weight data on increased educational requirements by the number of new jobs in each occupation, failed to offset increases in educational requirements for some jobs with decreases in requirements for others, and neglected to consider the growth of low-skill industries as well as those needing higher skill. The Bureau of Labor Statistics, for example, expects “paralegals” to be the nation’s fastest growing occupation, with employment increasing from 1988 to 2000 by 75 percent. But this growth means just 62,000 new jobs. Meanwhile, with only 19 percent growth, janitors and maids will gain 556,000 new jobs. In their re-analysis of Workforce 2000‘s projections, the Economic Policy Institute’s Lawrence Mishel and Ruy Texeira concluded that probable industrial shifts and occupational shifts within industries will require only that students entering the work force in the year 2000 will need one-fourth of a grade level more schooling than those who entered in 1955. With a surplus of college grads, their higher relative earnings stem not from premiums paid for more education but rather from penalties exacted from those with less. The oversupply of college graduates is confirmed by a 10 percent drop in wages of college-educated workers since 1973. But high school graduates’ earnings have dropped even more, by 16 percent. Greater returns to education suggest not a need to increase schooling but rather trade and labor market policies to reverse the earning declines of industrial and service workers. But Ginn failed to mention that for the 2,700 who passed the test, there were only 700 openings, paying wages of less than $7 an hour. A more telling conclusion would have been that schools provided PacTel with nearly four times the number of qualified operator-candidates it needed, even at low wages. If the company offered wages above the poverty line, even more successful test takers might have applied. Some critics, like Ray Marshall and Marc Tucker in their recent book, Thinking for a Living, acknowledge that schools prepare youth for today’s jobs and even for the more sophisticated jobs expected to evolve. But this is no cause for complacency, they argue, since skills are now adequate only because we maintain outmoded assembly lines where workers follow detailed instructions to perform repetitive unskilled tasks. We will never accelerate productivity with these assembly lines, Marshall and Tucker claim. High-productivity organizations of the future already common in Japan and Germany require flexible workers who can perform many tasks, work together, and diagnose production problems. Were American companies to adopt high-productivity structures, skills would be insufficient. But this argument may overestimate the schooling required even for high-performance work organizations. Ten years ago, Harley Shaiken began to study Ford Motor Company’s new engine plant in Chihuahua, Mexico. Initially, he believed that Ford’s gamble to save on labor costs in Mexico (where 6 years of school is the norm) would fail. Manufacturing engines is a sophisticated operation, with machine tolerances of one ten-thousandth of an inch. Coordination between production workers and technicians is essential. Yet while Ford required only 9 years of education for new hires in its Chihuahua facility, it has become the world’s most productive engine plant and is now Ford’s sole North American engine source. Ford enrolled Mexican school dropouts in a 4-to-12-week technology institute program covering gasoline engines, mechanical drawing, and mathematics. New hires learned to tear down and reassemble an engine. Once on the job, they were rotated every 3 to 6 months to new tasks, so skills would be broadened further. As the Chihuahua plant matured, Ford hired workers with less schooling and relied even more on its own training. As skilled technicians left, Ford replaced them with production workers promoted and trained from within, as required by Ford’s Mexican union contract. It’s not evident that our schools fail to produce workers qualified to staff such a system. Even if American school standards are less than other nations’, we have a plethora of underemployed grads whose skills are at least equal to those of Mexican dropouts. When General Motors implemented a high-performance work system at its Tennessee Saturn plant, American schooling was no impediment. But unlike other GM plants, Saturn gave 10 weeks of formal training to new hires and required ongoing classroom work for permanent employees. Most American corporations, however, make few training investments, so their claim that public schools can’t provide qualified workers rings hollow. We have roughly doubled per-pupil spending (after inflation) in public schools since 1965….Yet dropout rates remain distressingly high…overall, high school students today are posting lower SAT scores than a generation ago. The nation’s investment in educational improvement has produced very little return. In 1990, the U.S. spent $5,521 per pupil on public schools, more than double the $2,611 (in 1990 dollars) spent 25 years earlier. More money for schools won’t do any good, critics assert; it’s just pouring good money after bad. But spending more hasn’t failed. It hasn’t been tried. The truth is that little new money has been invested in regular educational improvements since 1965. How has the money been used? Special Education. Nearly 30 percent of new education money has gone for “special education” of children with disabilities. Since 1975, federal law has required public schools to provide “a free appropriate education” to each child, no matter how seriously handicapped. By 1990, nearly 12 percent of all schoolchildren were in special education. Schools must design an “individualized education program” for each child with a learning, emotional, or physical disability. Publicly financed medical diagnoses, special transportation arrangements, personalized instruction, tiny class sizes, specially trained teachers, and the purchase of special equipment may be required to place a child in the “least restrictive environment.” Parents dissatisfied with an individualized program are entitled to a hearing. The Supreme Court has ruled that cost cannot be an excuse for failing to design an appropriate program. If a handicap is too severe for a public setting, schools must pay the child’s private tuition. Education of the handicapped is worthwhile, but it is dishonest to suggest that special education funds should produce academic gains for regular students and, when they do not, claim proof that money spent on public schools is wasted. Nutrition Programs. School breakfast and lunch programs have absorbed nearly 10 percent of increased costs. In 1965, nutrition programs were mostly self-supporting, selling milk and ice cream their main function. Today 35 percent of all students get free or reduced price meals, costing over $6 billion a year. Providing meals to needy children should also improve academic achievement, since nutrition is necessary for learning. However, such an expectation assumes that children are better nourished as a result. If, on the other hand, school food subsidies only offset deterioration in children’s health since 1965, expecting academic gains from this program would be unrealistic. Fourteen percent of Americans lived in poverty in 1992, the highest rate since 1964. Growth of overall poverty masks more drastic growth in child poverty. In 1990, nearly 25 percent of American children under age six were poor, an increase from 18 percent in 1979. With a probable deterioration in the nutritional condition of children when they come to school, it is questionable whether educational improvement can be expected from today’s breakfast and lunch programs. Nor is it appropriate to suggest that maintenance of such expenditures would, from an educational point of view, be throwing good money after bad. Smaller Classes. Nearly one-third of new school money has gone for smaller classes. Pupil-teacher ratios have declined by about 30 percent since 1965 and average class size is now about 24, requiring more teachers and extra classrooms. It seems reasonable that this investment should produce academic gains. Yet while reducing class size to 24 creates better teacher working conditions and may be needed for discipline–as education becomes more universal and society’s authority norms weaken–it’s not enough to improve academic outcomes as much as we’d like. Unless class sizes get small enough (around 15) so that the method of teaching can change to individualized instruction, smaller classes have no measurable academic effect. Salary Increases. Teacher salaries have grown 21 percent–less than 1 percent a year–from an average of $27,221 in 1965 (1990 dollars) to $32,977 in 1990. This increase is responsible for another 8 percent of increased education costs. This added expenditure should result in improved student achievement if higher salaries attract more highly qualified graduates to teaching. But if other professional salaries grew more, higher teacher pay would not enable school districts to maintain teacher quality in the face of greater competition from other professions. Since 1975, starting teacher pay increases have lagged behind pay increases of other beginning professionals with bachelors’ degrees. Starting teacher salaries have grown by 149 percent since 1975, less than the rate of inflation. For beginning engineers, the increase was 153 percent; for marketing reps, 169 percent; for business administration grads, 171 percent; for mathematicians and statisticians, 163 percent; for economists and finance personnel, 161 percent; for liberal arts graduates, 183 percent. Teachers did better than chemists (144 percent) and accountants (130 percent). Teacher salaries increased faster from 1965 to 1975 than after. But over 25 years the overall increase in real teacher pay at best maintained schools’ ability to attract candidates. If anything, the increase has been inadequate to maintain teaching’s competitive standing, since more professions have welcomed women since 1975. Highly qualified female college graduates are no longer captives of the teaching profession, so the same relative teachers’ pay now attracts less qualified teachers than before. All told, we can’t expect teachers’ pay gains since 1965 to produce higher student achievement; for this result, we would need bigger pay boosts to attract higher quality college graduates to teaching. Transportation. Transportation has consumed 5 percent of increased costs. In 1965, 40 percent of public school students were bused at an average cost of $214 (1990 dollars). By 1989, 59 percent were bused, and the cost jumped to $390. Fewer Dropouts. About 3 percent of new spending stems from keeping more students in school. The oft-repeated worry that more students are dropping out has no factual basis. Since a student dropping out of one school may move to a new community and enroll there, the most accurate measurement of dropouts is not schools’ own records but census information on young adults who have completed 12 years of school. In 1970, 75 percent of youths between ages 25 and 29 had completed high school. By 1990, 86 percent had done so. Minority dropout rates have steadily declined–in 1940, only 12 percent of 25-to-29-year-old blacks had completed high school. In 1950, the black completion rate rose to 24 percent; in 1960, to 39 percent; in 1970, to 58 percent; in 1980, to 77 percent. The rate continued to rise in the 1980s, to 83 percent in 1990. Hispanic dropout rates are less accessible because the 1980 decennial census was the first with separate data on Hispanics, and because many so-called Hispanic dropouts (young adults who have not completed high school) are immigrants, some of whom came to the U.S. too old to enroll in school. They shouldn’t be considered “dropouts”–many never “dropped in.” In 1990, only 58 percent of Hispanic 25-to-29-year-olds had completed high school. But for Hispanics in their forties (who were in their twenties in 1970), the rate was less–52 percent. And for those in their sixties (in their twenties in 1950), the rate was only 38 percent. Thus, it seems, Hispanic dropout rates are declining as well. If the typical dropout completes 10.5 years of school, then the higher completion rate has increased per pupil costs by 1.3 percent since 1965. This added spending does not improve graduates’ average academic achievement. While preventing dropouts is important, lower dropout rates will also reduce average test scores, since a broader base is now tested, including those less academically motivated than earlier groups that did not include potential dropouts. Fewer dropouts will also generate more anecdotes about high school graduates who don’t read or compute well. So, paradoxically, expenditures for more schooling can seem to reduce academic achievement while contributing to an improved education level for society. In sum, special education, smaller classes, school lunches, better teacher pay, more buses, and fewer dropouts account for over 80 percent of new education money since 1965. That these produced few academic gains is no surprise. It is to the credit of the public schools and the teaching profession that real gains have occurred at all. Yet there have been real gains, partly due to higher academic standards and curricular reforms implemented in the last 15 years. In many classrooms, for example, conceptual math has embellished arithmetic, and literature has replaced basic readers. The 1983 report, A Nation at Risk, accelerated a curricular reform movement that was already gathering steam. Heightened consciousness of the ways in which low teacher expectations for working class and minority students become self-fulfilling have also helped boost student academic progress. New spending related to these curricular reforms, though modest in scope, has made a difference. Some new money has gone for education of the disadvantaged, in Chapter I and bilingual programs. Computers have been added to classrooms: 54 percent of public elementary students (including 43 percent of those in the lowest family income quartile) now use computers at school. Thus with limited new investment, academic performance has improved, especially for minority students. This is one reason why schools’ skills production has outpaced industry’s ability to absorb educated workers. It does seem that academic performance declined in the late 1960s and 1970s but rebounded dramatically in the last decade. School achievement, certainly for minority youth and most likely for whites as well, today exceeds not only 1970s standards but those of 25 years ago. True, average Scholastic Aptitude Test (SAT) scores have declined to 899 (math and verbal combined) in 1992 from 937 in 1972. Yet this favorite fact of headline writers tells a very partial story. Last year, 29 percent of SAT takers (students planning to go to college) were minority students, more than double the 13 percent 20 years earlier. In 1992, 43 percent of test takers ranked in the top fifth of their high school classes. In 1972, 48 percent were in the top fifth, a more elite group. In California, for example, where over half the test takers were minority students in 1992, only 66 percent came from homes where only English was spoken, and 20 percent spoke English as a second language, up from 13 percent just six years earlier. These shifts unsurprisingly produce lower average scores. Declines in average SAT scores stem mostly from expansion in the test takers’ base, adding more disadvantaged students to a pool that earlier included mostly privileged students. While average scores have gone down, minority scores have gone up. From 1976 (when the College Board began tracking group scores) to 1992, black student scores went from 686 to 737; Mexican-origin scores went from 781 to 797; and Puerto Rican scores went from 765 to 772. White scores declined, but this is due, at least in part, to the broadened social class base of white test takers. In 1976, the number of white test takers was equal to only 19 percent of the 17-year-old white population. In 1992, it was 25 percent, a less elite group. The best way to improve average SAT scores would be to encourage only the best middle-class students to take the test. We used to do just this, which is why average scores were higher. Today we prepare more minority and lower-middle-class students to take college entrance exams. It’s a sign of accomplishment, not failure. A more accurate evaluation of SAT trends comes from examining not average scores but the percentage of all youths in the 17-year-old cohort (both test takers and non-takers) who perform well on the test. In 1992, test takers equal in number to 2.2 percent of all 17-year-olds had verbal scores of at least 600 (good enough to get into top-ranked universities), better than the 1.9 percent with such scores in 1976. In math, test takers equal in number to 5.4 percent of all 17-year-olds got at least 600 in 1992, up from only 3.8 percent who scored that well in 1976. The number of students who scored over 500, good enough for admission to academically respectable four-year colleges, grew as well. These data suggest improved grade and high school performance. SAT tests measure the ability of seniors who think about attending college. Actual enrollment data provides more evidence of improvement. White student college enrollment has jumped from 27 percent of all 18-to-24-year-olds in 1970 to 34 percent in 1991. In 1970, 16 percent of black 18-to-24-year-olds were enrolled in college. In 1991, 24 percent were enrolled. In 1972 (the earliest year for Hispanic census data), 13 percent of Hispanic 18-to-24-year-olds were enrolled in college, and by 1991, 18 percent were enrolled. While immigration confounds this statistic, if we consider only those who graduated from high school, the number of Hispanic youths enrolled in college jumped from 26 percent in 1972 to 34 percent in 1991. From 1980 to 1991, the number of black students enrolled in four-year colleges jumped by 20 percent, despite the fact that black 18- to-24-year-olds in the population declined by 6 percent. Hispanic enrollment in four-year colleges increased by 76 percent, outpacing a population gain (including immigrants) for this age group of 41 percent. These data are no cause for complacency; minority participation rates in higher education still fall below white rates. And enrollment gains do not necessarily translate into college completion, which is affected as much by economics as academics. But these enrollment data are also no basis for condemning the preparation for college in public schools. On the contrary, we should look at what schools do right, so we can do more of it. Contrary to a cherished myth, American science and engineering performance surpasses our competitors. Of every 10,000 Americans, 7.4 have bachelor’s degrees in physical science or engineering. Japan has 7.3 per 10,000 and West Germany, 6.7. American performance continues to improve: in 1987, 7 percent of 22-year-olds had a science or engineering degree, up from less than 5 percent in 1970. Only 6.5 percent of 22-year-olds in Japan and 4 percent of 22-year-olds in Germany had science or engineering degrees in 1987. Our advantage stems from greater commitment to educate women. In America, 35 percent of new scientists are women, compared with Japan’s 10 percent. The Sandia researchers have been muzzled. The Department of Education complained that the report was biased because “data shown are consistently supportive of a picture of U.S. education in a positive light.” The report, Secretary of Energy James Watkins charged, “is a call for complacency at a time when just the opposite is required. The Department of Energy will not permit publication of the study as presently drafted.” It has still not been released. Conventional wisdom has an all-purpose explanation for supposedly deteriorating education: public schools spend inordinate resources on administration, teacher creativity is stifled by centralized control, and funds for educational improvement are diverted to bureaucracy. The claim, however, does not withstand scrutiny. In Los Angeles, typical of other California districts, schools spend 65 percent of their own resources (excluding state and federal programs) on “instruction,” including salaries, benefits, and training of teachers and paraprofessional aides, textbooks, classroom equipment, and supplies. Counselors, psychologists, and nurses take 4 percent. Security and maintenance consume 11 percent. School administrators (principals, deans, attendance officers, and school clerical personnel) take 7 percent. Busing gets 6 percent. Miscellaneous expenses (such as library staff, library books, and educational television) take another 3 percent. This leaves central administration (the “bureaucracy”), including superintendents, accounting, payroll and purchasing, property and liability insurance, with only 5 percent of the annual budget. Its peak in the last decade was 6.6 percent. Although category definitions may vary, national data also show schools spending 61 percent of their budgets on instruction and 5 percent on administration. In 1970, New York gave parent- and teacher-dominated community boards finance and hiring power. The relaxation of controls spawned scandals like loans of school funds to employees; theft of school property; hiring politicians’ relatives as teacher aides; solicitation of bribes; ethnic-based hiring; and extorting political contributions from teachers. Despite his commitment to school-site decision making, New York School Superintendent Joseph Fernandez expanded the central bureaucracy’s role in monitoring finances and appointments. Schools’ bureaucratic rules (such as centralized textbook selection, detailed curriculum requirements including the number of minutes spent on specified subjects, demands for attendance accounting and ethnic surveys, and restricted telephone or copying machine use) inhibit teacher creativity and should be reformed. But behind classroom doors, teachers are still the most autonomous and unsupervised of all professionals. Rarely acknowledged in school debates is that bureaucracy results from compromises made between spontaneity and creativity on the one hand, and eliminating discrimination, corruption, and incompetence on the other. Decentralization can’t stimulate creativity without also risking corruption. Schools with flexibility to buy classroom computers without cumbersome bidding also have opportunities to solicit bribes. A principal who can select unconventionally qualified candidates, ignoring credentials and test scores, can also discriminate in hiring teachers or custodians. Centralized school systems restrict flexibility, yet districts have mostly been freed of corruption. Bureaucratic mazes have roots in earlier reforms to curb graft. After employees are caught in a kickback scheme, multiple signatures for purchases become required. Years ago, hiring relatives was routine in school employment. To avoid this abuse, school hiring is now governed by cumbersome civil service rules. Perhaps the most egregious exception is New York City’s system of school building custodians who function more like entrepreneurs than employees. Reform will require more bureaucracy, not less. If decentralization of school bureaucracies proceeds, there will be calls for recentralization when scandals inevitably follow. The trade-off between autonomy and accountability is most stark when academic standards at issue. Bilingual teaching for non-English speaking students is now national policy. School administrators train faculty and inspect schools to ensure that students get native language instruction while gaining English fluency. Data clerks track student progress to assure that appropriate tests for transition to English are administered. Without central monitoring, some schools might ignore language minority students. Indeed, many did, prior to 1978 when courts ordered bilingual teaching. Special education requires tests to identify handicapped children and specialists who investigate whether special education is provided. Without watchful bureaucrats, some schools might ignore these expensive requirements. Before courts mandated these programs in 1974, many schools did so. Demands for less bureaucracy imply willingness to risk their doing so again. Bureaucrats also review applications to determine which students get free lunch, which are eligible for subsidy, and which must pay full cost. It would of course be simpler and more expensive to provide meals to all. But few business or political leaders are prepared, despite anti-bureaucratic rhetoric, to commit additional tax funds to such administrative streamlining. Simultaneous calls for greater school autonomy and higher national standards put the two basic “reform” drives in direct conflict. One wants higher standards, the other less administration. Yet bureaucracy must enforce mandates unless we allow each school to decide whether to teach math, science, or American history. Higher standards demand more bureaucracy, not less. Many leaders say they want school-based decision making, but what they really seek is a chimera: all schools spontaneously deciding to do the “right” thing, without administrative enforcement. Bureaucracy stifles, and school reform should reduce bureaucratic structures performing redundant or useless tasks. But lacking the willingness to abandon common standards and tolerate more corruption, calls for radical dismantling of school administration are mostly demagogic. It’s no surprise that school-based management experiments have mostly floundered. Good school principals have always involved teachers in school planning. But when, in contemporary reforms, teachers get formal powers to run schools, they often balk at time demands of administrative tasks. Good teachers, reformers have been discomfited to find, want to teach. They don’t want to spend time in committee meetings, entertain textbook publishers, solicit low bids for supplies, or calculate race and ability distribution for classroom assignments. Belief in schools’ failure has also encouraged the notion that competition could force improvement by requiring that schools compete for clients. “Choice” supporters argue that if education producers (school staffs) tied their security to consumer (parents) satisfaction, quality would improve and high-performing schools would multiply, while unselected schools would lose enrollment. But the customer-driven management analogy may not work for public education, where the “consumer” of school outcomes is the nation’s economic, social, and moral standing, not merely the family whose child is taught. Choice advocates assume that parental “purchasing power” will include knowledge of competing schools’ academic strengths. Choice advocates assert without evidence that parents will not favor schools where academic mediocrity is offset by good athletic programs, a whiter student body, or a recent paint job. Illiterate immigrant and college-educated parents, they assume, will have equal information about alternatives. Unfortunately, however, parents with the least purchasing power (knowledge about educational alternatives) in a market model are the very parents whose communities most need school improvement. Parent choice already plays a limited role in public education. Specialized theme “magnet” schools in many urban districts give ambitious minority students a chance for integrated education and entice whites to stay in the city system. These are worthy goals but have little to do with the fantasy that the whip of competition will force schools to improve. In fact, “choice” schools like magnets may make neighborhood schools worse. Despite careful admissions restrictions, magnet programs attract the most highly motivated students, draining neighborhood schools of students and parents who could spur higher achievement levels. Controls cannot be subtle enough, for example, to prevent counselors from giving greater encouragement to middle-class magnet applicants than to poor students. While magnets have better academic records than neighborhood schools, this is because the motivated students they attract do well in any setting. Magnets provide no evidence for the free market idea that a need to be selected forces schools to improve. Analysis of student outcomes shows that magnet students generally do no better than neighborhood school students who applied to magnets but, because of space limitations, could not get in. The greatest danger of choice, public or private, is that race and class segregation will grow if parents choose schools attended by children like their own. This likely effect of choice is suggested by other nations’ experience. Since 1978, for example, Canada’s British Columbia has subsidized private schools; wealthier and better educated parents took these subsidies, leaving public school students in a less advantaged milieu. Israel recently established alternative schools with differing philosophies and curricula. They are academically superior to neighborhood schools; parents who choose them are wealthier and more educated. Choice schools are islands of excellence for the rich while Israel struggles to assimilate immigrants from North Africa and Russia. Holland’s choice system is 85 years old. The government pays for buildings and teacher salaries for any school that parents establish; two-thirds of all schools are privately run. School choice in Holland has enabled “white flight” from Turkish and Moroccan neighborhood schools. Recent Dutch studies show that Muslim students in segregated classrooms do worse than those who are in integrated classrooms, while most Dutch parents choose schools based on the socioeconomic status of students already enrolled, not on the school’s academic performance. Scotland got school choice in 1982; parents can send children to private or public schools outside their local district. According to a recent study by professors Doug Willms and Frank Echols, 27 percent of children whose parents were professionals chose to escape neighborhood schools, but less than .5 percent of children whose parents were semi-skilled blue-collar workers did so. Twenty-four percent of college-educated parents’ children, but less than 1 percent of children whose parents had no college, escaped. There is little doubt that wealthier parents believe their children gain advantage by attending schools with other privileged children. But the consequence of honoring this choice is diminished opportunity for less advantaged children. Historically, we have honored such choices. White, middle-class parents once moved to homogeneous suburbs to seek “better” schools. Today this method of exercising school choice is less available. Urban areas and their impoverished minority populations are now too large to permit easy escape within commuting distance of central cities. The incorporation of professionals into upper-income strata has expanded elite private school options previously reserved for the hereditary or corporate elite. As a result, desire for restorating the segregation that this class once knew has been transformed into demand for school choice. Cloaked in a faulty assessment of schools’ academic decline, choice is presented as a necessity for broad school reform to benefit all children. If the foregoing is true–that increasing returns to education are deceptive and we have a shortage of demanding jobs rather than of educated workers; that expanded educational resources since 1965 have not mostly been dedicated to academic improvement; that, nonetheless, public schools’ academic achievement has risen; that bureaucracy is not stifling American education; and that the most popular contemporary reforms, decentralization and choice, address the wrong problems and could do great damage–then it is hard to avoid an iconoclastic conclusion: the public school system is mostly on the right track and the best way to improve its results, especially for minority children, is to pour more money into it. More resources are not the only improvement needed. Implementation of the curricular reforms of the last 15 years is essential. Better systems for hiring and evaluating principals and improved teacher training–for undergraduates as well as teachers already on the job–could contribute to better academic achievement. So too could a satisfactory method of removing poor teachers from the profession. But design of this reform is difficult because results produced by individual teachers are hard to measure statistically, so sustaining the removal of poor teachers through civil service or union procedures is improbable, unless child abuse or other criminal behavior is present. Equalized school funding. In states which have not equalized funding between rich and poor districts, students continue to attend dilapidated schools without adequately paid teachers or necessary equipment. As Jonathan Kozol has pointed out, if money made no difference in education, wealthy districts would not be so determined to hoard it. Reduced class size. Educational research shows that class-size reduction has little effect if classes remain so large that teaching is mostly to large groups. Reducing class size to 15 or less, on the other hand, can have academic results. This is the most expensive school reform imaginable (reducing class size from 24 to 15 doubles the marginal costs of education), and it should perhaps be restricted to schools with the most disadvantaged students. But if we want to close the gap between minority and white students more quickly, lowering class size could be effective. Full funding of Head Start. Preschool children exposed to books, manipulative toys, and literate adults are better prepared to succeed than those who are not. Quality school experiences cannot fully compensate for deprivation in preschool years. Yet Head Start funding is sufficient to enroll only 30 percent of eligible low-income children. While Head Start children’s test scores surpass those of nonenrolled children in first to third grades, the advantage seems to be lost by fourth grade. Further investigation is needed to understand this loss, other evidence supports full funding. Head Start graduates are less frequently retained in grade, have better school attendance, lower dropout rates, higher employment rates, fewer criminal arrests, and less welfare dependency than youth from similar backgrounds but without the benefit of a preschool program. A national prenatal health program. It is a shibboleth of the education establishment, overcompensating for generations of contempt for poor and minority children, that all children can succeed if only their teachers communicate high expectations. This has an element of truth, but also an element of denial. Low-birthweight babies, or fetal drug-, nicotine-, or alcohol-addicted babies cannot mature into successful students to the extent healthy babies can. Giving all babies a healthy start in life would contribute to improved academic outcomes. Improved apprenticeship and workplace training. Schools presently send students with adequate numeric and literary skills into the work force. Work habits may not be adequate, and curricular reforms should emphasize team building and cooperative skills. But schools cannot be expected to provide the kind of practical technical training like Ford offers to Mexican dropouts in Chihuahua. The Clinton administration may propose requiring business to fund worker training, with the further mandate that training funds be expended on frontline as well as supervisory workers. Ongoing workplace training is needed to preserve the fruits of improved schooling. Improved teacher salaries. The highest achieving college students don’t always make the best teachers, but teachers are too often recruited from college graduates whose grades or ambitions are not high enough to win places in more remunerative professions. Higher teacher salaries will improve the competitive position of education vis-à-vis law, accounting, engineering, medicine, and nursing. To attract good teachers, salaries need not be higher than in other professions, but improving relative teacher pay will improve schools’ ability to attract more highly qualified graduates. Especially because of the need to win more public funds for teacher salary increases, the role of some teacher-union leaders in education debates has been curious. Each Sunday, a paid New York Times advertisement by Albert Shanker, president of the American Federation of Teachers, analyzes American education, often denouncing school performance and contrasting the illiteracy of American youth with academic achievements of other nations’ children. If a teachers union goal is to mobilize support for public education and its employees, denunciation of school performance is a questionable strategy. The public is more likely to increase tax support for systems that perform well than for those that fail. Campaigns to highlight teachers’ extraordinary accomplishment–the advance of universal education in a social system hostile to economic equality–could do more to mobilize opinion on teachers’ behalf. Nonetheless, teachers unions around the country follow Shanker’s lead, mounting attacks on their own school systems in the vain hope that the public will blame only administrators and not teachers for schools’ purported failures. The prevailing consensus that schools need radical systemic reform is at odds with economic and academic data. But it derives support from a political culture surviving the Reagan era–the suspicion of all public institutions and conviction that if public bureaucracy is responsible, performance must be deficient. 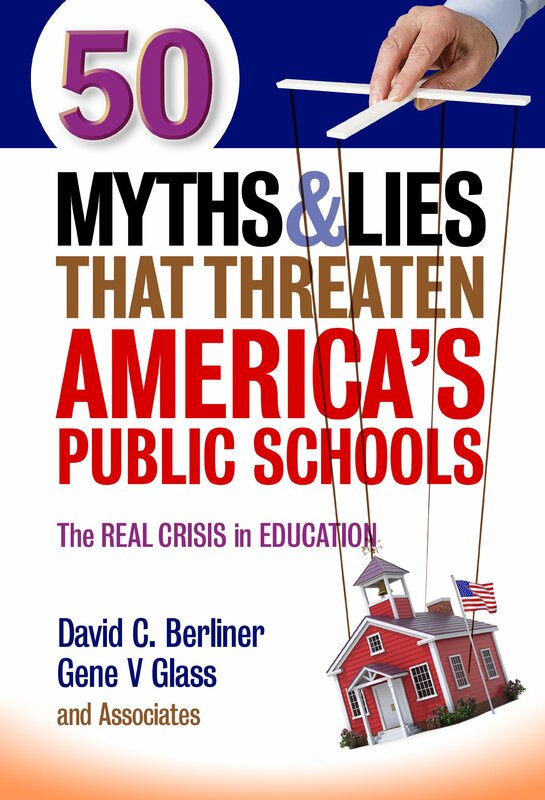 The school failure myth also derives support from the nation’s corporate leadership, anxious to find a scapegoat for high unemployment, racial division, and income inequality. Blaming the schools avoids confronting business deindustrialization strategies, failure to invest in high-wage jobs, and shortsighted trade policies. Faulting public education also excuses the business community’s desire to reduce tax support of schools. Finally, the school failure myth is reinforced by experiences of many in the professional middle class who have their own anecdotes about ill-prepared (usually minority group) high school graduates. In some cases, the stories suffer from an idealized memory of how much better prepared graduates once were–discounting realities that not only did fewer students graduate in past decades, but many graduates had “general” or “vocational” diplomas in which carpentry or metal shop, not algebra, dominated the curriculum. Today nearly all graduates are in academic programs, both because our expectations of universal education have expanded and because jobs no longer exist for which vocational programs once trained. There are still too many dropouts and too many high school graduates who can’t read or compute at appropriate levels. Almost invariably, however, these are students without a consistent school experience, who have frequently moved, have no stable home support, or come from violence, drug or alcohol dominated environments. School reforms, no matter how creative, cannot substitute for a full employment program with jobs at good wages in minority communities. Schools have done less well in developing disciplinary habits in students from social strata which, in earlier generations, dropped out. As the Commission on the Skills of the American Workforce put it, while few businesses find a lack of academic skills in entry- level workers, “the primary concern of more than 80 percent of employers was finding workers with a good work ethic and appropriate social behavior: `reliable,’ `a good attitude,’ `a pleasant appearance,’ `a good personality. '” Conventional critiques of school performance, however, have little to say about this problem, and popular systemic solutions to education’s alleged academic failures do not address it either. We have no reason to be complacent about schools’ performance. No democratic society should tolerate adults who cannot interpret bus schedules or newspaper articles. When job applicants can’t pass a seventh-grade-level employment exam, we have a problem, even if the promise of jobs for those who pass is a false one. That school output may be adequate for industrial needs does not suggest that a more literate and mathematically sophisticated work force would not be even more productive. Industry should invest more in workplace training, and training can be more effective if workers bring greater literacy and numeric skills to their jobs. But when schools are doing better than ever before, the best way to encourage continued improvement is not a concerted attack on school governance and organization. A more effective approach would be praise for accomplishment, provision of additional resources to programs whose results justify support, and reforms on the margin to correct programs and curricula shown to be ineffective. Unfortunately, school reform is now a crusade that eclipses attention from the true causes of youth unemployment and declining wages for those who graduate from high school but do not go to college. Reform of industrial, trade, and labor market policies hold more promise for income growth than does school reform. Posted in Failing Schools, School Choice and tagged "Standing Strong for Public Education", #iBelieve, Accountability, Advocacy, Diversity, Education, Equity, Failing Schools, Pensions, Public Education, School Choice. Bookmark the permalink.